We analyzed more than 575 press releases from representatives and senators about the Affordable Care Act and its repeal. Democrats, we found, speak more often and are more united. Turns out that Democrats have more to say than Republicans when it comes to legislation that would repeal major parts of the Affordable Care Act, better known as Obamacare. With the House set to vote today on the Republican replacement plan, called the American Health Care Act, we decided to look at the messages coming from members of both parties. A ProPublica review of 576 press releases posted on the websites of representatives and senators since Jan. 20 found that a higher proportion of Democrats have released statements criticizing the GOP bill than Republicans have backing it. Among members of the House, where the action is now focused, about 46 percent of Republicans have issued statements about health care reform from the start of the Trump administration to this week. Among Democrats, 67 percent. The dynamics are similar in the Senate, which would take up the bill if and when it passes the House. Only 35 percent of Republicans have weighed in, compared to 60 percent of Democrats and independents who caucus with them. All told, Republicans have issued some 240 press releases about health reform; Democrats and independents at least 336. (The analysis includes statements members have posted on their websites and doesn’t include statements to reporters or on social media.) House Speaker Paul Ryan, R-Wisc., had the most of any member, 36, four times as many as the next-highest statement-writer, Rep. Diana DeGette, D-Colo. Moreover, Democrats are much more united in their opposition to the repeal-and-replace bill than Republican members are in support, according to our analysis. Dr. David Blumenthal, president of the Commonwealth Fund, a health care nonprofit in New York, said that doesn’t surprise him. When the Affordable Care Act was under consideration in 2009 and 2010, Republicans were united in their opposition while Democratic support was “quite fractured,” said Blumenthal, who was the national coordinator for health information technology during the early years of the Obama administration. A lot can be gleaned by the words officials use — and avoid. 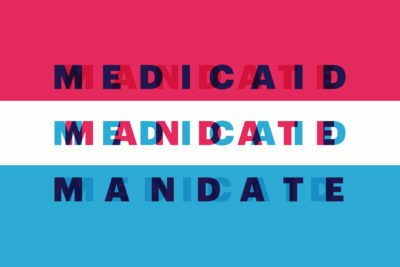 Medicaid, the joint federal-state health insurance program for the poor. 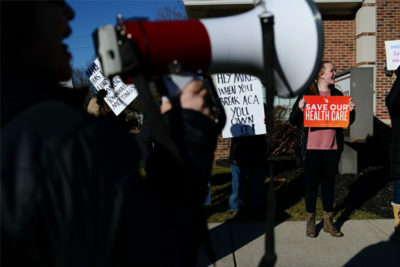 The Affordable Care Act allowed states to expand Medicaid to cover millions more people living in poverty or near-poverty, including childless adults. The GOP bill would cut Medicaid spending by $880 billion over the next decade, according to the Congressional Budget Office. About half of the press releases we analyzed, 285, mention Medicaid. And of those, 198 came from Democrats. “42,200 individuals in our Congressional District who are covered by the ACA’s Medicaid expansion now stand to lose coverage if Washington Republicans eliminate Medicaid expansion,” wrote Rep. Cheri Bustos, D-Ill., echoing what many colleagues did by personalizing the data for her district. When they do raise the issue, Republicans said their plan makes needed changes to Medicaid. “We also refocus Medicaid’s limited resources to the patients most in need,” said Rep. Tom Rice, R-S.C.
Congressional Budget Office. Of the 213 statements mentioning the CBO or Congressional Budget Office, only 28 came from Republicans. Democrats mentioned the CBO in two ways: At first, they criticized Republicans for considering the bill before having the results of the CBO analysis; then Democrats held up the CBO report, also called a score, as proof that the law would roll back many of the gains made by the ACA. “The report released today by the non-partisan Congressional Budget Office underscores that the Republican health care bill will result in millions of currently-insured Americans no longer having coverage,” wrote Rep. Steve Cohen, D-Tenn. The few Republicans who addressed the CBO analysis, including Speaker Ryan, pointed to its conclusion that the legislation would reduce the deficit and said the GOP bill is only the first step in a multipart plan to reform the health care system. By contrast, Republicans who mention Trump do so in the context of working with his administration and his commitments to change health care delivery. 24 million. One hundred thirty-five statements mention this figure — the number of Americans projected by the CBO to lose health insurance by 2026 under the Republican proposal. Of those, only four are from Republican members. “Under Trumpcare, middle class families will pay more for less care, and 24 million Americans may lose their coverage altogether,” wrote Rep. Dan Kildee, D-Mich.
Obamacare. Early on, the ACA was dubbed “Obamacare” in an attempt by Republicans to tie it to the president. Over time, Obama himself tried to co-opt the phrase to make the point that “Obama cares.” Some public polling shows that people do not know that the ACA and Obamacare are one and the same, favoring the former while opposing the latter. The term Obamacare was mentioned in 228 releases. A whopping 196 of them were by Republicans, often to emphasize the program’s negative effects. “Obamacare is collapsing under its own weight, driving up health care costs, and limiting options for individuals and families,” wrote Rep. Jackie Walorski, R-Indiana. Choice. One of the GOP selling points about their proposal is that it lets people choose whether they want insurance and which plan to buy, freeing them from many current requirements. Of the 154 statements that mention the word “choice” or “choose,” 133 of them come from Republicans. “We are driving down costs and giving patients more choice in their health care,” Rep. Michael Burgess, R-Texas, a physician, said in a statement. They’re full of lies and misinformation. Mandate. The ACA requires that employers provide coverage to their workers and that Americans be covered by health insurance — or pay a penalty. The so-called employer and individual mandates are unpopular with Republicans because they are perceived as requiring people to buy health insurance they may not want or need. Of the 111 releases that mentioned mandates, 93 were by Republicans. “We are providing a more consumer focused marketplace, not a government mandate with burdensome taxes,” wrote Rep. John Carter, R-Texas. Check out all statements in ProPublica’s Represent tool.